"Fall Is for Planting" is more than a marketing campaign—it's solid advice for gardeners, too. Many types of perennials and shrubs benefit greatly from being planted in fall. Find out why it's the perfect season for planting and meet five pink flowering varieties you should plant now for better results next spring. If you've been shopping at a local independent garden center lately, you may have noticed a "Fall Is for Planting" banner flapping in the crisp fall breeze. 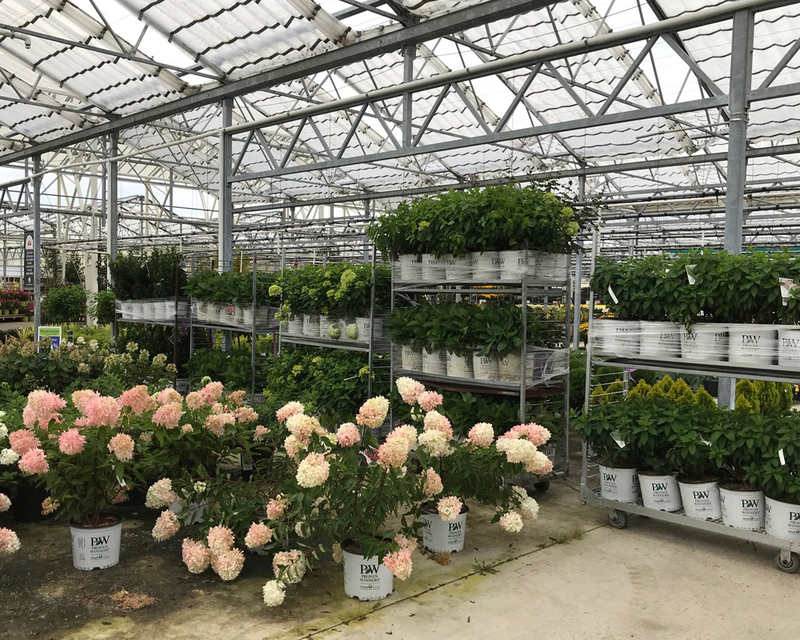 Some stores continue to bring in fresh plants well into fall, while others discount plants that have been sitting on their benches for a few too many weeks. Fresh is best, since those plants are less likely to be stressed by being rootbound and too dry in their pots, but slightly worn looking plants can offer a good value too. Spending too much time in a container can be stressful to a plant but is not typically detrimental. Before making the purchase, gently slip the plant out of its container to make sure it is not completely rootbound. Unless you are an experienced gardener who is comfortable with washing and detangling the roots, it's better to pass those by. If the plant isn't rootbound and the foliage looks healthy, it's ready to go home with you. While stores are certainly eager to sell their remaining stock in fall and may offer discounts to move them out, there are good reasons why fall is an excellent time for planting perennials and shrubs. Cooler air temperatures and relatively warm soil temperatures are the ideal combination for establishing new plants in the garden. Cooler air helps the foliage lose less moisture to evaporation and prohibits new growth from emerging. At the same time, warm soil temperatures promote root growth. Rainfall is typically more abundant during the fall months. Shorter days and cooler air temperatures help to retain the soil moisture after a good rain. This keeps the roots from drying out and promotes more active growth which helps the plants become established before winter arrives. Moisture is key to helping newly planted perennials and shrubs go into winter less stressed. A thick layer of mulch will help even further by protecting the roots during their first winter. By planting perennials and shrubs in fall, you'll have larger, more established plants next spring. Do yourself and your plants a favor by buying and planting them before winter arrives. October is Breast Cancer Awareness Month, and what better way to honor a loved one who has been touched by this disease than with this sweet pink, reblooming, native hydrangea. One dollar from each plant sold is donated to the Breast Cancer Research Foundation®; to date over $1,300,000 has been raised across North America for the cause. 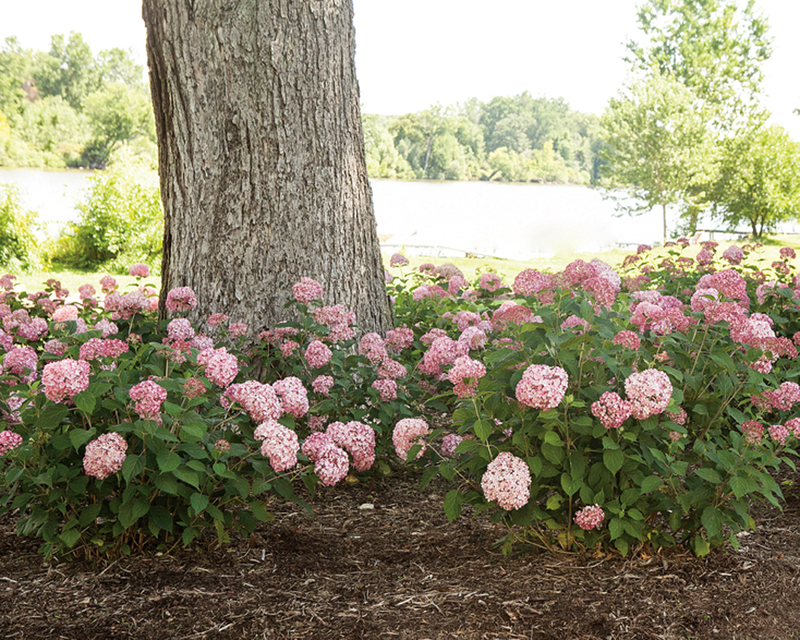 Invincibelle® Spirit II is an exceptionally cold hardy hydrangea that grows in zones 3-9 in part sun to full sun. Unlike more finicky hydrangeas, this one blooms reliably every single year on the new growth. Plant it now, then watch it reemerge in spring with even more robust growth, eventually reaching 3-4 feet tall. Spring blooming shrubs like lilacs greatly benefit from being planted in fall, a time when they can be busy establishing new roots rather than putting on their floral show. Since they are very cold hardy in zones 3-7, the crisp, bright days of fall are their favorite kind of weather. 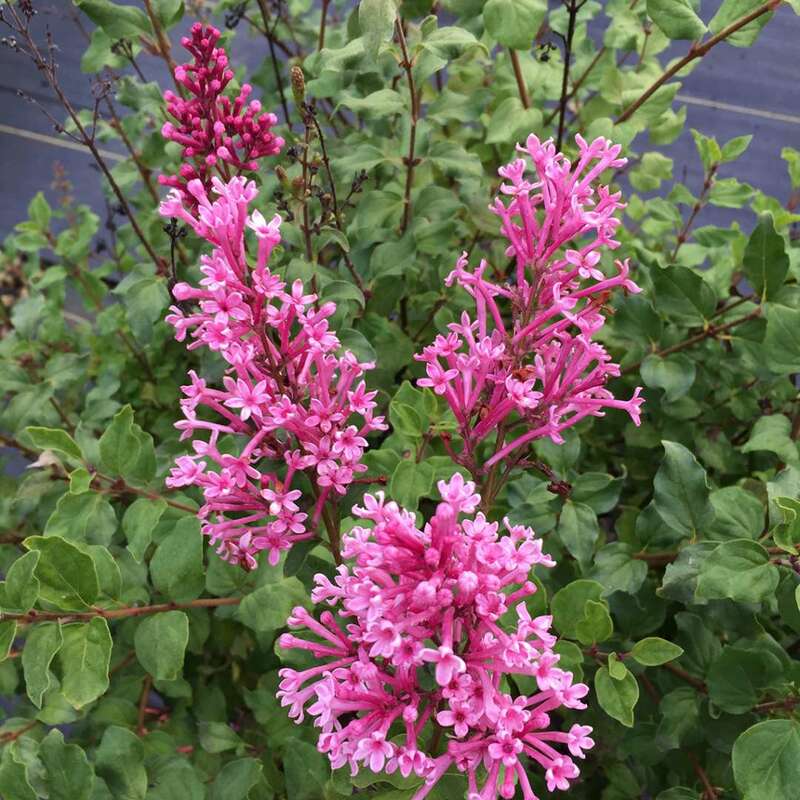 If you don't have room for a full-sized lilac in your landscape, this dwarf 2 ½-3 feet tall and wide cultivar is the perfect fit. Plant it someplace very sunny and keep it watered until winter arrives. Once established, it requires very little care to thrive. 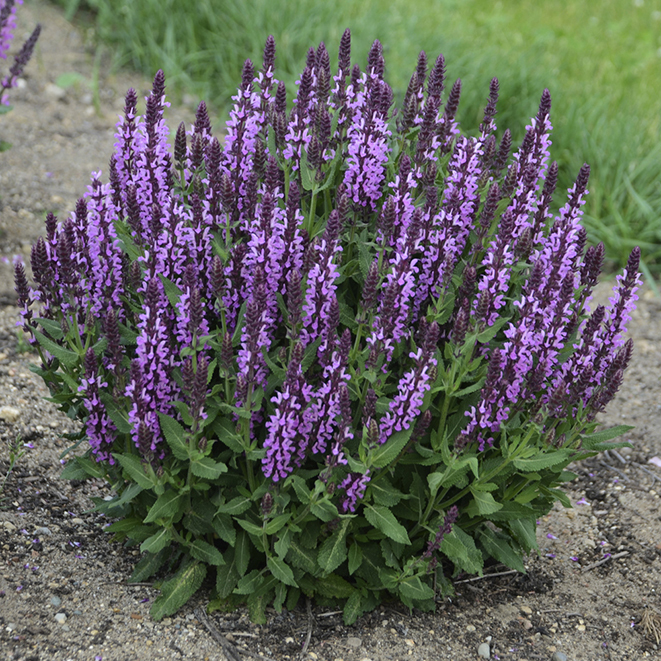 Feed the bees but not the deer by planting this perennial salvia. In late spring, you'll be treated to a prolific show of pink, 16-inch tall flower spikes that pollinators like bees, butterflies and hummingbirds will enjoy. Its sage-scented foliage will keep deer and rabbits away. Once the first round of flowers is finished, take a pair of scissors and cut the flower stems down to the top of the mounded foliage. That will encourage the plant to bloom again in summer. Plant 'Pink Profusion' in a very sunny spot that is not hit by the sprinkler every day. It will appreciate drying a bit between waterings. Its extreme zone 3-8 hardiness will help it pull through winter with flying colors. Some kinds of perennials benefit greatly by planting in fall, and bee balm is one of them. When you plant it this fall, you'll find it returns even larger next spring. The warm fall soil temperatures and plentiful rainfall are exactly what it needs to develop a strong root structure and begin to spread. If you'd like to keep it to a manageable size, plant a non-running variety like 'Pardon My Lavender' (one of four colors in the series). 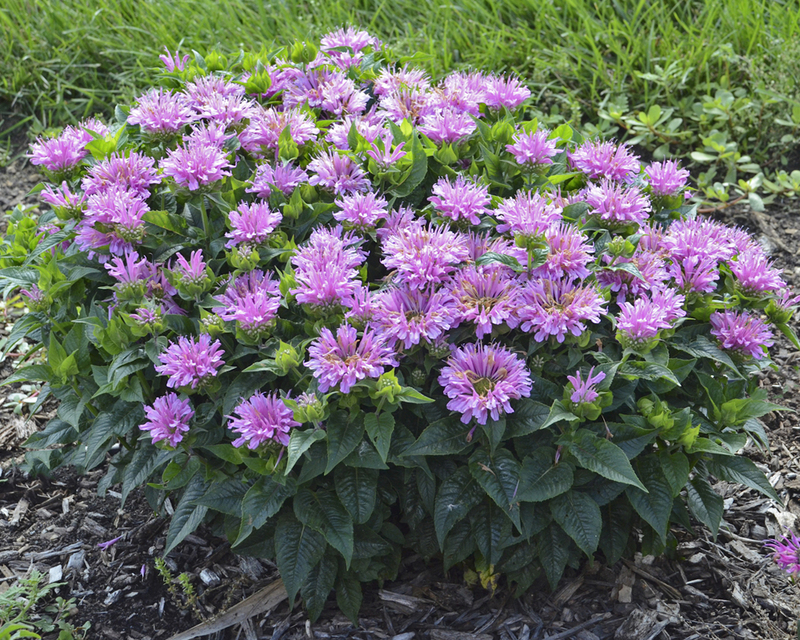 This dwarf bee balm forms a 14-18 inch tall mound of disease resistant foliage and is topped with lavender pink flowers beginning in midsummer. Butterflies, bees and hummingbirds will be frequent visitors when it is blooming but deer and rabbits will not. This perennial grows in zones 4-8 in part sun to full sun. 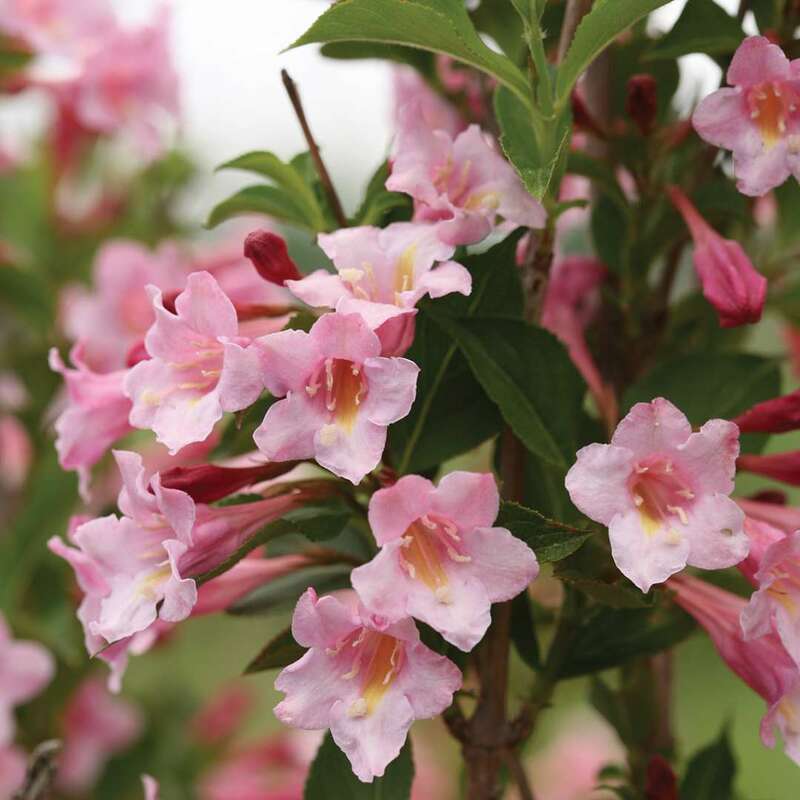 Fall is an ideal time to plant spring flowering shrubs like weigela, but Sonic Bloom® Pure Pink and the other three colors in this series don't stop in spring. After taking a brief rest after its first round of flowers, these reblooming shrubs continue the floral show through summer and into fall. Their larger 4-5 foot size and exceptional deer resistance makes them an ideal choice for using as a mid-sized hedge, a backdrop to your perennial garden, or in foundation plantings. Plant them in full sun in zones 4-8. Find these five and many more pink-flowering perennials and shrubs for fall planting available at www.provenwinners.com.